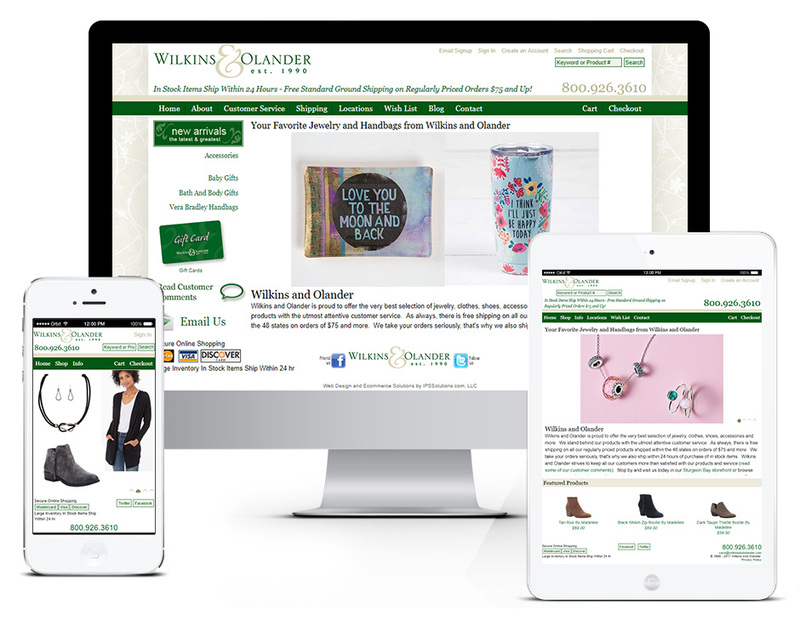 Wilkins and Olander is a clothing, accessory, and jewelry boutique with two stores in Door County, Wisconsin. They joined the IPSSolutions team in 2000 when they decided to venture into the world of ecommerce and online sales. 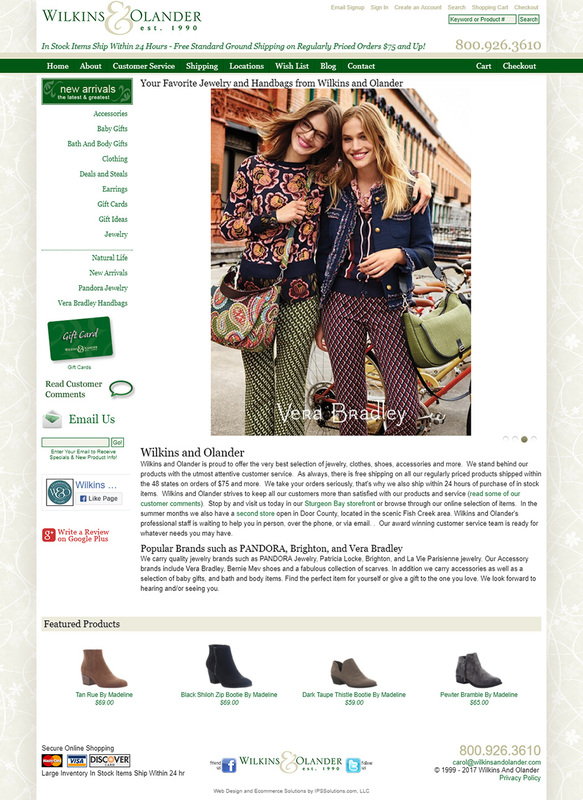 WilkinsandOlander.com utilizes IPSSolutions.com ecommerce platform with a custom design. The design focuses on ease of use, quick load time, and clean integration of brand. The online store also sports many ecommerce customizations and integrations as well as a mobile friendly responsive web design.